Authors Reuven Levy For Once, I Agree With Bibi – Stop Apologizing! For Once, I Agree With Bibi – Stop Apologizing! I’m not a Likudnik. I’ll start with that. Ideologically, I am close to what they profess to supporting – when they want the right-wing to vote their way. And, if they’d still to that platform without apologizing, I’d even consider joining the party. But they don’t, so I can’t. Yet, recently, Likud did an amazing thing. Honestly, all they did was state the obvious. Israel is the home of the Jews. More, it is the land of the Jews, the country of the Jews. In short, Israel is the Jewish homeland. There is nothing wrong with living as the minority in country, so long as you are given equal rights. Jews have lived in more countries than we can count. And yet, we can only say that we were given equal rights in a small minority of those places. Only in Israel, really, are we not only the majority of the country, but the rightful owners. Yes, it’s true. And more, it has been true for thousands of years. The Ottoman’s claimed the land but ruled it from afar, as did the Romans. The British knew from the start they were mere caretakers, and not very good ones at that. And prior to the Romans – that would be the Jews. Yes, this was the land of Judea, the land of the Jews. There are many lands that have declared themselves to be Christian or Muslim countries – officially and without controversy. Why then is it controversial for Israel to declare itself as a Jewish state? The ONLY Jewish country in the world? There are millions of non-Christians in America and even millions of non-Muslims in those Muslim countries. Why can’t “millions” of Muslims live in a Jewish State? The answer is that they can, and have been, for 70 years. And, in many cases, they are living better in the Jewish country and they know it. So what’s the problem? 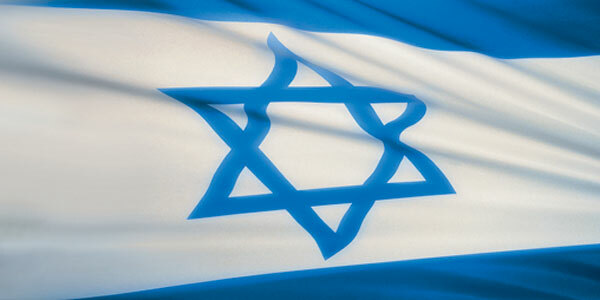 “The State of Israel is the nation-state of the Jewish people, with full equal rights for all of its citizens. This is the meaning of the words ‘a Jewish and democratic state,'” Netanyanu stated. And then, finally, he said something even more important. He told his ministers to “stop apologizing” and instead, “fight for the truth.” In those simple words, Benjamin Netanyahu has spoken about all of our history and all that we must do here in Israel. We have to stop apologizing. And we need to continue fighting for the truth. If they don’t apologize for attempting to murder us, why are we apologizing for killing them before they achieve their goal? OMG, they launch explosive devices – hundreds at a time in some cases – and we apologize for shooting at the cell that launched the incendiary bombs. Stop apologizing for being alive; for living in our land. Stop. Just stop! Truthfully, you were offered half the land in 1948. And yes, YOU said no and then chose war. It has always been your choice. And now, we choose. Yes, that’s right. We choose to be who we are and if that bothers you, there are another 40 nations where you can choose to live. If you choose to live in our Jewish land, we will continue to treat you well. You’ll get access to the best medical care available in the Middle East. More, your children can grow up, go to school and even some of the best universities in the world. Be an honored citizen of the Jewish state, or leave. Once, we were citizens of Yemen, Syria, Egypt, and so many other countries where we were not treated with respect, not given equal status or equal rights. What did the Jews do in these countries? Well, they didn’t attempt to change them or demand that these countries change their status. And you know what – in 2,000 years, not one country apologized to us for declaring their lands to be theirs. Reuven Baruch Levy is a programmer as well as an accomplished author. He works for a hi tech company that he prefers not to mention but is proud that several of his short stories have been published. In recent years, in his spare time he has turned more towards blogging and writing for various websites. He is, by his nature, a positive person and tries to find the good and the happy in a story. He's also a confirmed news fanatic, a sci-fi enthusiast, and regularly listening to the news from a variety of sources and in several languages. By the time he was 5, he was fluent in three languages (Yiddish, English and Russian). He has added Hebrew, some Italian and even some Arabic.